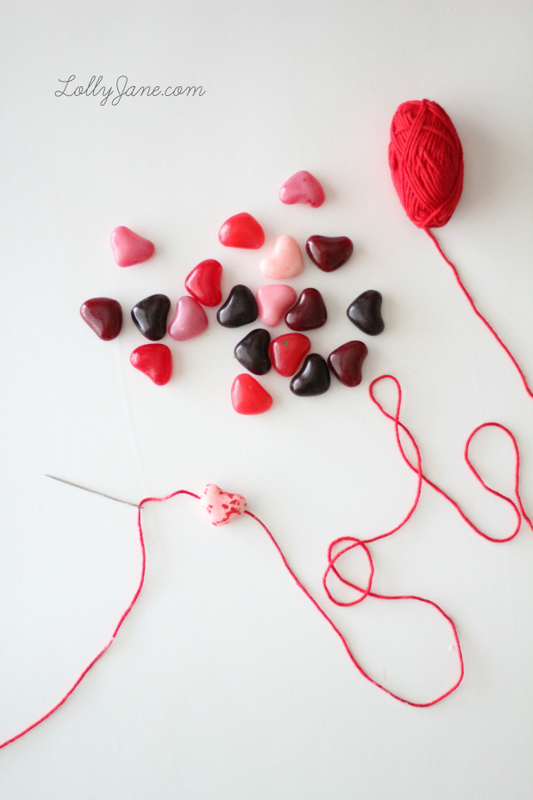 Supplies Needed: Red thread, large eye needle, heart shape jelly beans. 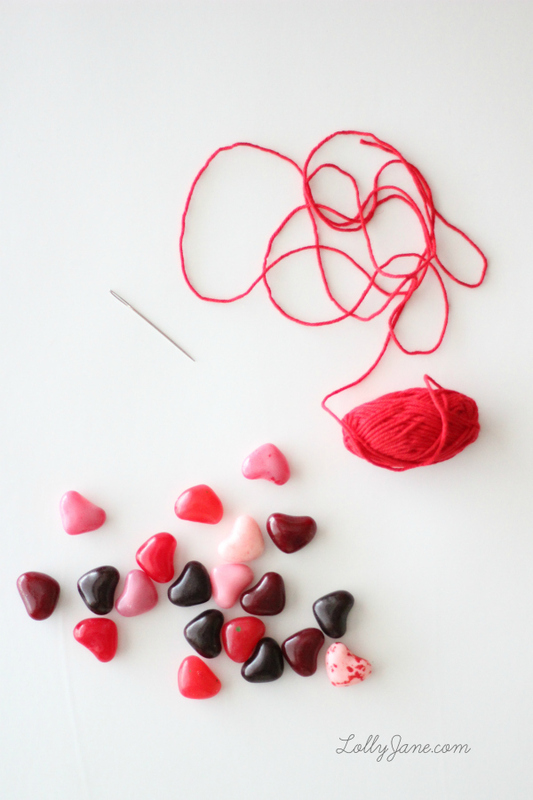 Directions: Simply thread the needle through the sides of the heart candies. When the thread it too sticky, snip it and keep going. 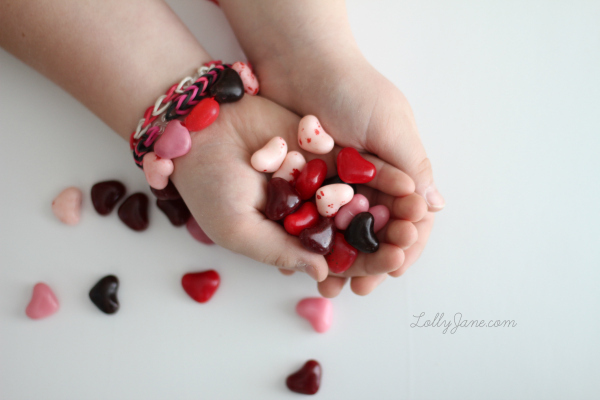 My 10 year old came in to model for me and was so excited she got to keep this edible candy heart bracelet! 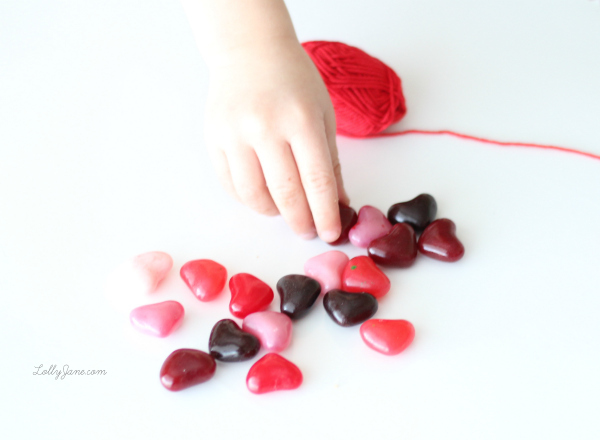 She said she wants to make more for her girl cousins and friends at school. 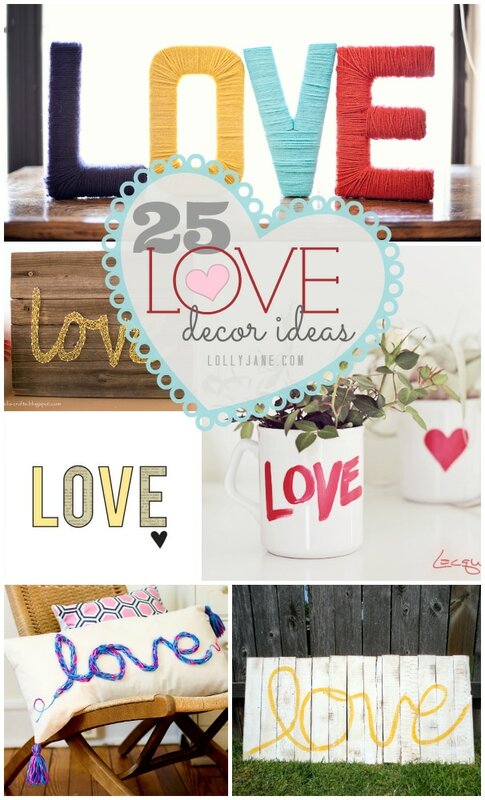 as well as our inspirational roundup posts like our recent 25 LOVE decor Valentine’s Day ideas. 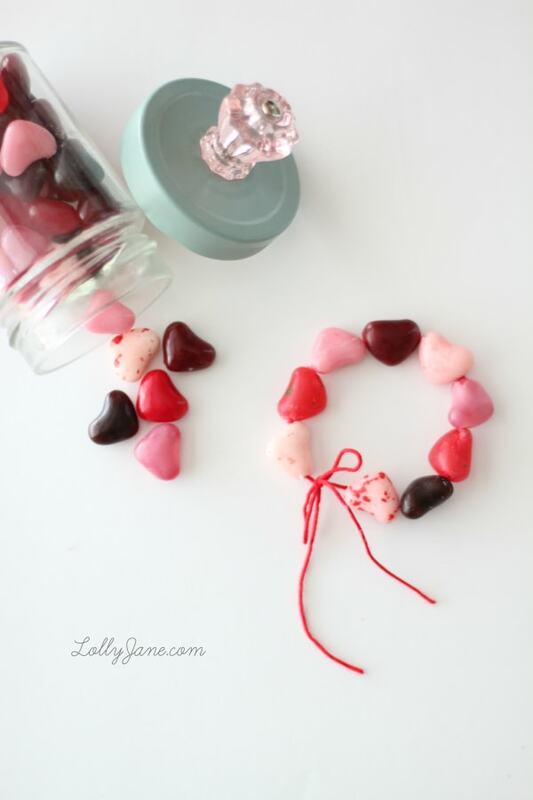 These bracelets are so cute I want to make one for myself! Love this idea I bet your girls were excited about them. Hi Shannon, we actually found this at Winco! Yay! I’ve seen similar candy at Walmart, too (: Good luck! Hi , Thank u for your beautiful project.Have a lovely ,blessed week! 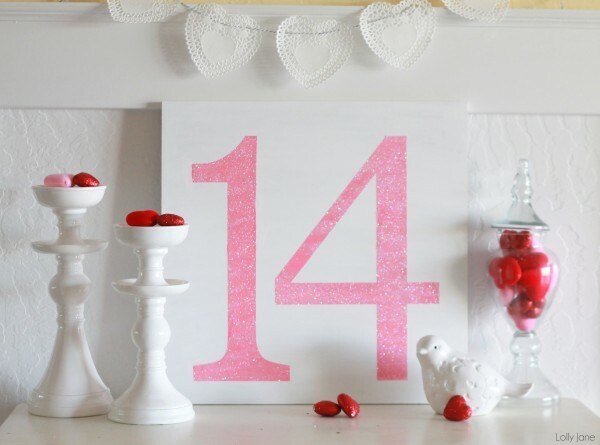 Thanks for a cute and clever idea! These’ll be great for my daughter’s class…now if I can just find the jellies around there! These are just so sweet I could eat them up! Hey, wait, I can eat them up! 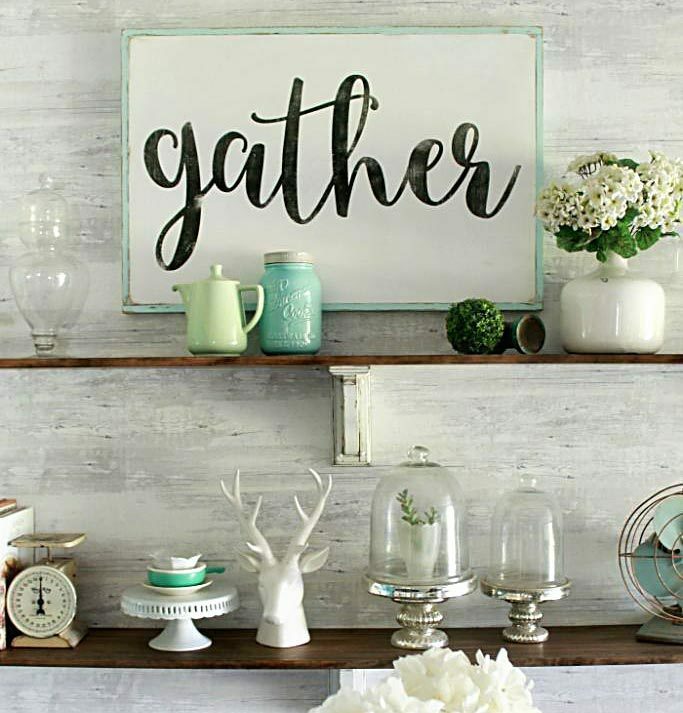 Pinning for sure! These are just the cutest!!! Heading over to share on Twitter too! Yummy prettiness. This is so cute and what a sweet gift she can give to her friends! You could also use the licorice that you peel apart (you know, the peel and eat kind that become long thin licorice strings?) as the ‘thread’ for the bracelet, then the whole thing is edible!